18 Best Strollers - it's BABY time! 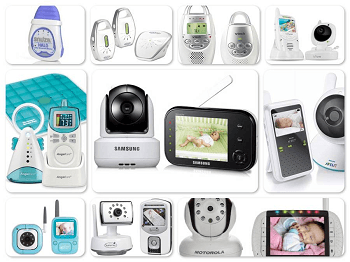 Looking for the best strollers? 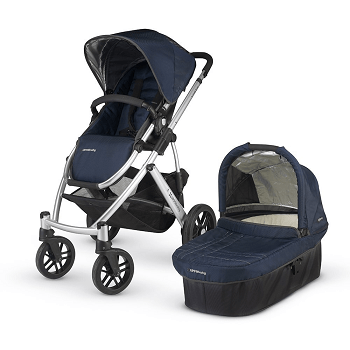 Want to compare industry’s top-rated strollers? Or maybe you just want something affordable? Well, you found them. Below are 18 of Amazon’s best-selling baby strollers to help narrow down your hunt. I further sorted them into 5 different styles for convenience. Buyers have made their choices and cast their votes. These baby carriages/pushcar are the best of the best. Not only are they reasonably priced, they’re far above industry’s standards and more importantly, they got the highest ratings from actual owners. So happy shopping and post a comment if you like the list! The standard stroller is basically like the SUV of strollers for a child. It’s more heavy-duty and more comfortable than a lightweight umbrella stroller. 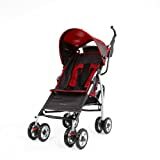 A standard stroller features a softer seat that can recline, ergonomic handle bars which typically has a cup holder and small storage compartment, and a storage basket underneath. 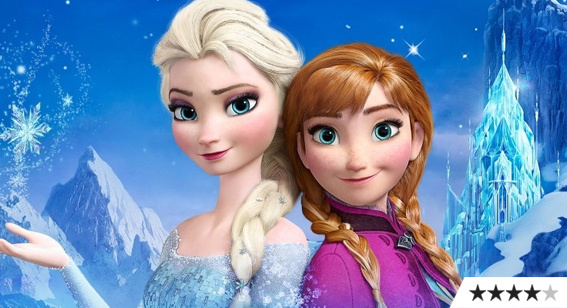 It is the ideal choice often favored by moms who frequently take outings. As for traveling, they are not the most convenient as it’s more bulky when folded up and heavier to lift in and out of the trunk. Here’s a look at a few top-rated standard strollers. Joggers make the best strollers for the fitness-minded moms that like to stay in shape after the baby. 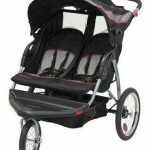 These are specifically designed to push while jogging and keeping your baby safe. 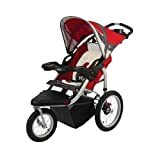 The larger wheels make it easier to push on various terrains in addition to a unique sleeker frame than traditional strollers. These strollers should only be used with infants older than 6 months. They are also not convenient for the frequent traveler as they are a little bulkier and more difficult to fold up. For these reasons, you may want to consider a second stroller as a backup option. 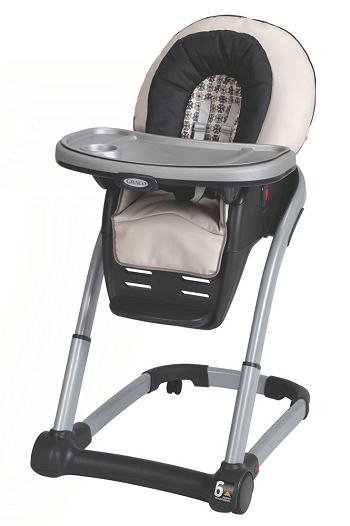 There are many strollers that are specifically designed to meet various needs. Getting out about can be quite stressful when you have more than one child in tow. Tandem strollers are a great solution for parents of young children relatively close in age within a couple of years or twins. 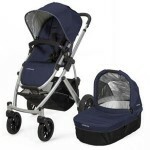 The in-line frame makes them the best strollers for maneuvering around between close aisles while shopping. 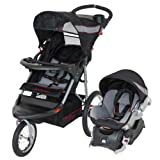 These strollers typically come equipped with storage options for added convenience to hold essentials and toys and even shopping bags. If you have multiple children, owning a stroller that can accommodate each one makes outings more convenient. A side-by-side gives each child ample leg room and comfortable reclining options without compromising space. The side-by-side feature lets both children have the front seat so parents have one less battle to fight. Here are some top picks in double strollers other parents liked. Car Seat: The B-Safe infant car seat included has side-impact protection which offers superior protection in the event of a crash and/or intrusion of another vehicle. Car Seat: The Graco SnugRide 30 infant car seat is the top rated infant car seat tested for side-impact to meet all U.S. Safety standards. 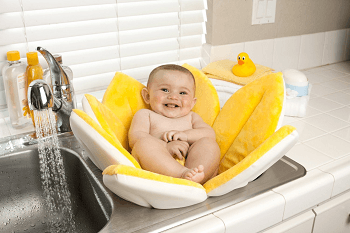 It seats infants 4lbs – 30lbs with adjustable 5-point harness and removable head support. A level indicator on the base ensures proper installation in your vehicle. Car Seat: The Baby Trend infant car seat fits infants from 5-22 lbs with an adjustable 5-point harness. It snaps securely into the Ex Flex-Loc base and comes out just as easily. 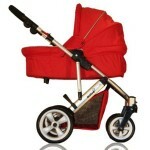 A pram stroller sports a more refined look for parents who like to stroll with class. Much like an old-fashioned baby carriage, a pram stroller features a fully reclining seat most suitable for newborns. The large canopies typically featured on prams block out the sun and side wind drafts from the baby. 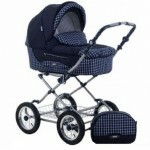 These are generally very durable, smooth riding strollers that can be used subsequently for other babies. Many modern-day models are designed to grow with your child to be used as a toddler stroller when baby outgrows the lying position.